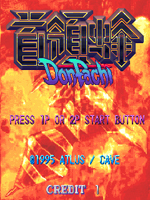 May 1995 Cave's first arcade title was Don Pachi and it was published by Atlus in 1995. 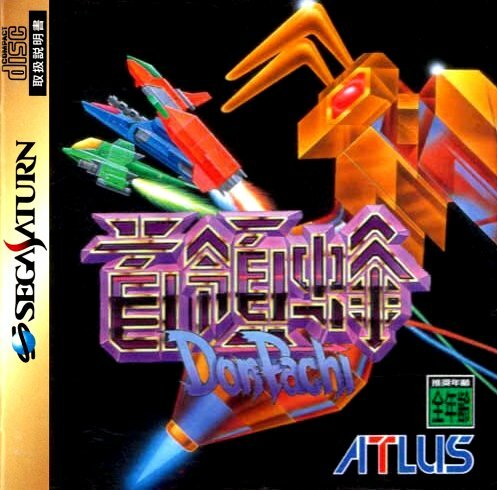 This title introduced many of the elements that remain to this day in DDP games such as bombs, golden stars, bees and the Get Point System (GP) which allows for chaining. 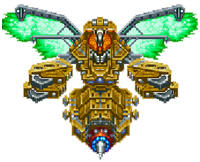 As with all later games, you could select from several ships, each with its own attributes (shot, laser, speed, etc.) and two-player functionality was included. Stars and bees could be collected for points. Again, many of these staple elements remained in DDP throughout the series. Power-Ups eventually faded, but the core concepts introduced back in 1995 were never lost. The first game in the series began a trend followed by almost every successor: a second loop. 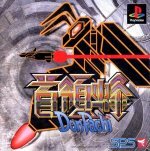 Unlike its sequels, no fancy requirements were in place to reach this round; simply complete the game and you'll be whisked away to a more challenging second loop. Complete this (quarter feeding was quite OK) and you'll face the series' first hidden boss: Taisabachi (oftentimes this boss is mistaken as Hibachi.) Here's a snapshot of him from the final battle. Don Pachi was issued in May of 1995 on CAVE 68000 Hardware (AKA CAVE 1st Generation Hardware) which was used for several other later Cave shooters. 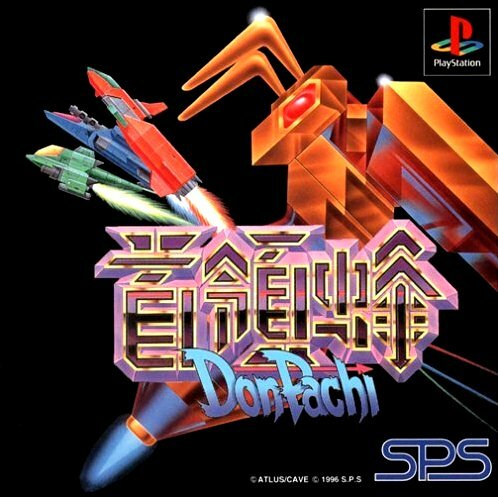 This would be the same arcade hardware used for DoDonPachi in 1997 and other popular Cave titles like Dangun Feveron, ESP Ra.De. and Guwange. This hardware is also notorious for its warning, something its author (whoever he was) must rue to this day. The message warns that violators might face penalties and "will be prosecutedt to the full extent of the jam." This basic translation mistake became a legend in its own right and worth mentioning. 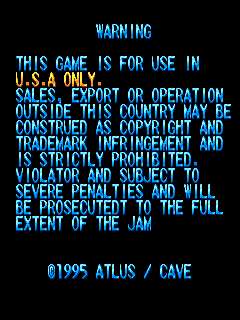 It would not be the last interesting localization error Cave would make. The game must have done well enough in arcades as it spawned a pair of home conversions and a greatest-hits re-release of one. 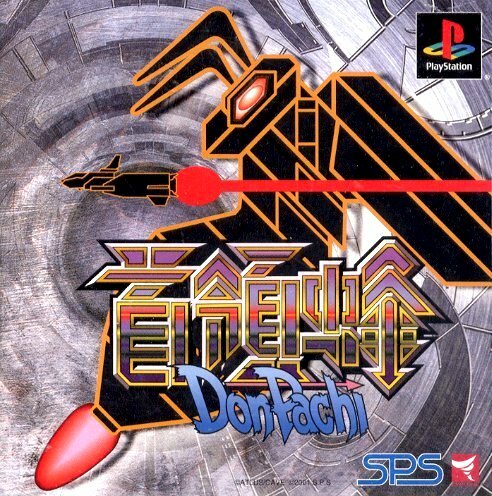 Re-issue of the original PS1 version.